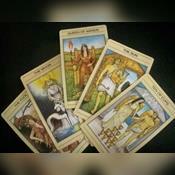 Since the age of 13 I have been reading tarot with astute clarity. Love, fortune even matters of life and death. Email for chat anytime! Really nice lady. Gave more advice than any predictions. Celtic Wise Woman77 has been a user of Keen since 2014. Getting Tarot Readers advice from Celtic Wise Woman77 through www.keen.com is safe, secure and confidential.